Hillary Clinton took the day off on Thursday. Her next event is scheduled for Monday. 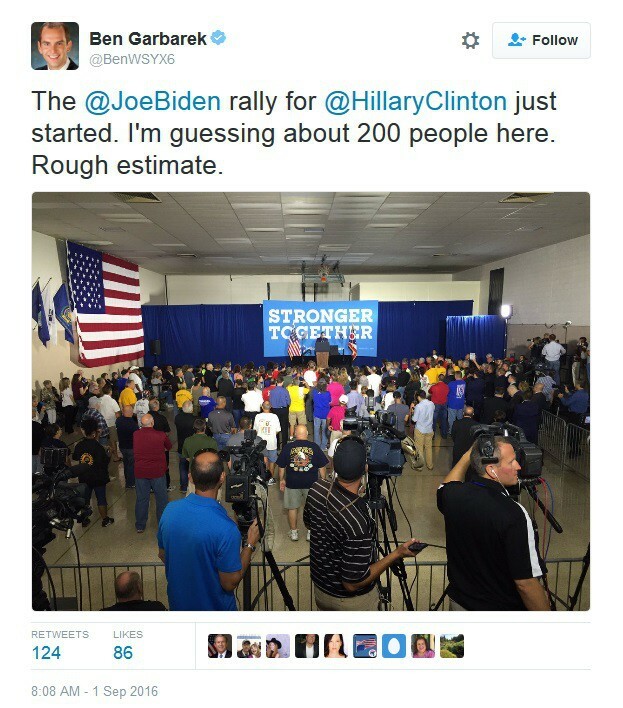 In her absence the Clinton Campaign invited Joe Biden to headline a rally in Ohio. Only 200 people showed up… Including the paid union hacks. Donald Trump held a rally in Wilmington. Biden stands in 4 Hillary last night in Ohio!